Nokia is all set to unveil the 2nd generation Nokia 6 2018 smartphone tomorrow, but just a day before the launch, an online listing of the phone has spilled the beans. The phone has been listed on a Chinese site that reveals every detail whether it’s related to the design or the specifications or the pricing. We already know how the phone looks like, thanks to the TENAA listing. Still, talking a little about the design, the phone has no longer the front-facing fingerprint scanner. Now, you might be thinking that it has an 18:9 display but no, it doesn’t have one. There are noticeable bezels on top and bottom, but due to the curved glass on top of the display, the side bezels don’t look that narrow. It would’ve been great if Nokia added stereo speakers, just like Pixel 2. Anyways, the fingerprint scanner is on the rear, below the rear camera module. There is a single rear camera. The volume rockers and power button are present on the right side while the SIM card tray is on the left. The phone has got the gold accent on the frame, camera module and the fingerprint scanner that looks dope with the Black color. 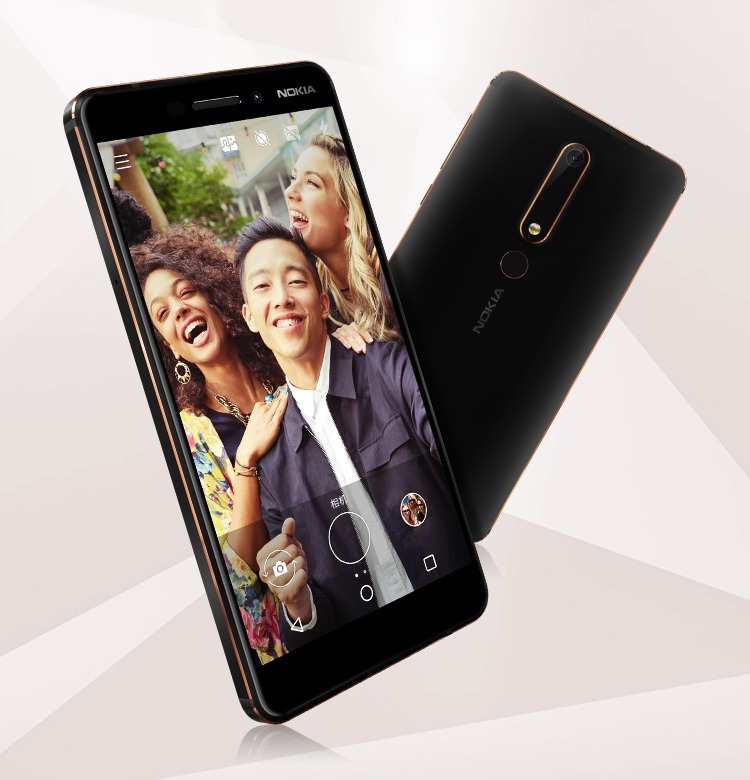 Coming to the specifications, the phone features a 5.5-inch Full-HD display and is powered by an octa-core Snapdragon 630 processor along with 4GB LPDDR4 RAM And 32/64GB internal storage that is expandable up to 128GB via microSD card slot. On the rear, there is a 16MP camera with f/2.0 aperture while an 8MP camera with f/2.0 aperture is present on the front. Android 7.1.1 Nougat runs out of the box, and the UI is almost stock as we have seen on other Nokia phones. Under the hood, there is a 3,000mAh battery with a micro USB port. Some other features include OZO Audio, Bothie mode, etc. 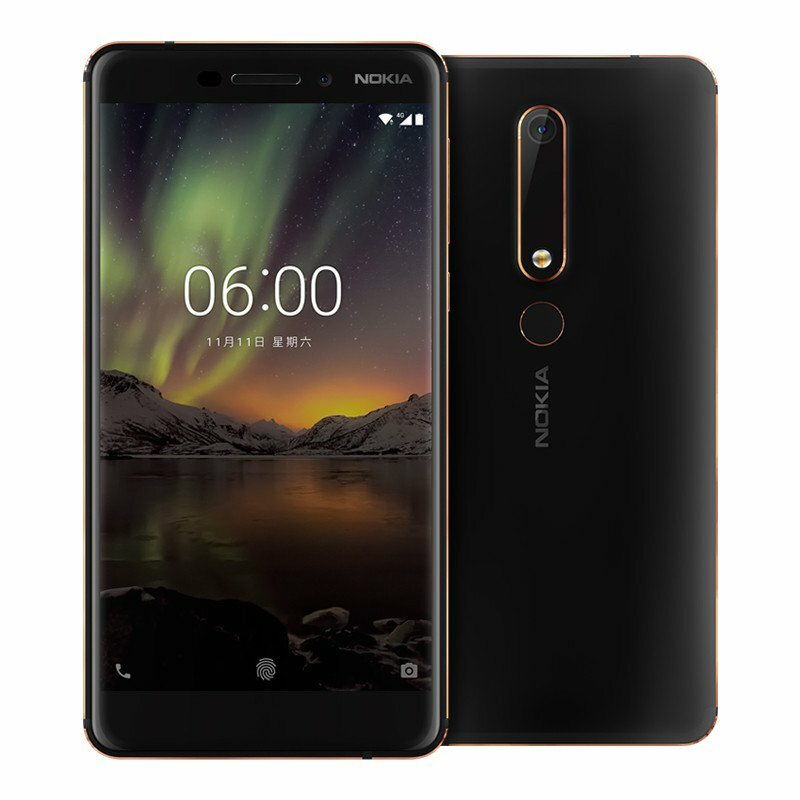 Lastly, talking about the pricing, the 4GB + 32GB variant of the Nokia 6 2018 will be priced at 1,499 Yuan or $230 while the 4GB + 64GB variant at 1,699 Yuan or $260. What are your thoughts on the pricing and the specifications? Do let us know via the comments section.